AIADMK staged protests after many ministers took exception to scenes criticising welfare schemes and a reference to late CM Jayalalithaa. 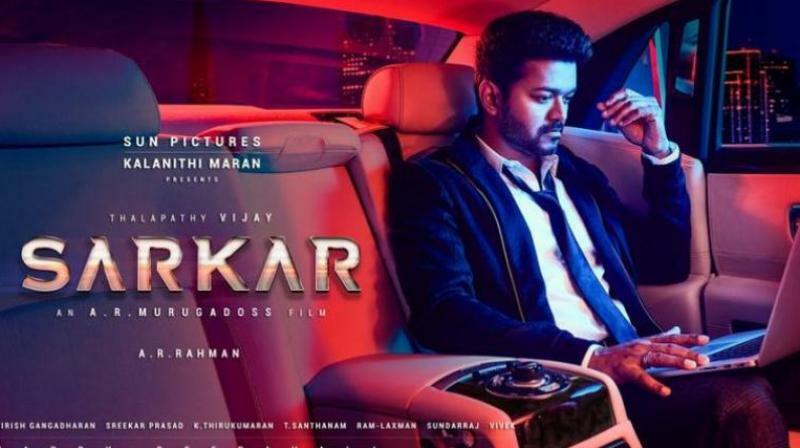 Chennai: The Madras High Court on Friday restrained police from arresting director of Tamil film "Sarkar" A R Murugadoss till November 27 on complaints related to some scenes opposed by the ruling AIADMK in the state. Justice G K Ilanthiraiyan passed the interim order on the anticipatory bail petition filed by Murugadoss, who apprehended arrest over complaints filed in connection with the "objectionable" scenes. AIADMK workers staged protests against the film on Thursday after several ministers took exception to scenes in the film criticising welfare schemes and a reference to late chief minister J Jayalalithaa. When the petition came up for hearing, police informed the judge that only preliminary investigation was being conducted on the complaints against Murugadoss. Certain scenes in the film, which show grinder, mixers and fans being burnt, have created law and order problem, they submitted. Counsel for the petitioner contended that the protests by the AIADMK workers against the film which had been certified by the Censor Board was totally unlawful. He also claimed that the director had dealt with "real problems" faced by the people and no viewer had objected to it. The counsel also informed the judge that the objectionable portions had already been removed from the film. The judge later adjourned the petition to November 27 for further hearing.